While I strive to be cheery and upbeat here, considering the present holiday I feel it appropriate to mention a few scary things related to fitness. Reader discretion is advised. In ancient times people exercised by picking up rocks and swinging on vines, and they were very fit. Then fancy scientific exercise machines were invented, with pulleys and gears and a padded seat on which to rest, and everyone got weak and flabby. Fortunately kettlebells and Olympic Rings(and TRX) have been invented, based on prehistoric cave drawings, and fitness is again possible. People think that television is a problem, but really it's the remote. Think about it- before the remote, when someone channel surfed, it was jump up, run to the TV, change the channel, run back to the laz-y boy, stretch out. Repeat. It was like doing Turkish get-ups or burpees with a sprint in the middle. The Von Mies chair is the best example of a way of sitting, and indeed an entire style, which has wreaked havoc on our postures. Instead of maintaining the natural tilt of the pelvis and normal curves of the spine, the Von Mies chair rounds the body into an unhealthy lump, giving one the appearance of being crushed under an unbearable load, or perhaps employment as a Notre Dame bell ringer. Isn't normal frying is bad enough? The vitamin pill is the enabler for separating nutrition and food. Instead of eating healthful food, eat whatever you want, and then take a vitamin, right? Even when the importance of nutrition is acknowledged, the attempted "solution" is to add vitamins into manufactured food products, rather than to choose and promote actual food with its natural nutritional goodness. Heaven forbid someone should have to walk from their car into the fast food station for their deep fried food-like products. The drive-through makes it possible for the indolent to procure and consume mass quantities of grease and sugar without ever leaving the comfort their automotive nests and standing upright. 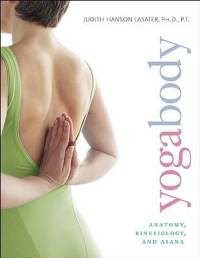 Yogabody: Anatomy, Kinesiology, and Asana, by Judith Hansen Lasater, Ph.D., P.T. is an immensely informative book that gracefully combines rigorous anatomical theory with yoga teaching and practice. Instead of merely relating a series of yoga positions and the muscles involved, Yogabody covers different regions of the body in clinical detail, discussing the anatomical structure and kinesiology and how they apply to yoga teaching. The book thoroughly illustrates the anatomical structures being discussed, with details such as the ligaments surrounding a joint and the individual features of a bone. Lasater's expertise as a physical therapist is clear from the depth of her writing about the human body, and her knowledge of therapeutic yoga shows in her discussion of how to apply the anatomical concepts to teaching yoga. "There is a simple way to tell the difference between a structural and a functional scoliosis. Have your student stand in Tadasana and then bend forward. She should not try to stretch out in Uttanasana but rather just hang forward. Now stand behind her and observe her back. If she has a functional scoliosis , the stretch will result in the soft tissue releasing, and her back will look even from side to side. If she has a structural scoliosis, it will be more apparent that one side of her rib cage is higher than the other." Here we see that the information given is useful to many bodywork and fitness professionals besides yoga teachers, but that some yoga terminology may need to be looked up. Overall though, a lack of familiarity with yoga terms, mostly asana(the yoga poses) names, should not be problem. Do note that the specific terms given are in Sanskrit, so even if you know what Down Dog is, you may not recognize the pose when called Adho Mukha Svanasana. "Ask your student to lie down on her mat for Supta Padangusthasana [figure shown]. First observe as she raises her straight leg up to an angle of 90 degrees. Many students raise the leg with an action that appears as if they are lifting the whole femur at once. Watch this action several times. Now suggest that she lift her femur in a different way: have her imagine that the head of her femur is descending just as she begins the action, in order to allow the rest of the femur to lift. It is as if the femoral head rolls down, back, and out as she raises the thigh and leg up. This way of thinking about the action is more in harmony with what the head of the femur actually does in the movement. Instead, most students just pick up the whole lower extremity and lift it. This way of moving does not allow for the femoral head to move deep into the joint for a mechanically sound movement with increased congruence. This type of movement does not follow the concave-convex law for this joint." If you teach yoga or are a dedicated student, the contents will you give an awareness and clinical foundation of why certain asana alignments are optimal, based on the structure of the body. If you aren't a yogi, but want to expand your knowledge of applied anatomy, you will still find Yogabody informative, and you may also gain an appreciation for the potential of yoga. I would love to take one of Lasater's workshops, even though I'm not a yoga teacher(yet). In the meantime, I hope any teacher I have a class with already has. "Researchers found that people who were told to sit up straight were more likely to believe thoughts they wrote down while in that posture concerning whether they were qualified for a job. The results show how our body posture can affect not only what others think about us, but also how we think about ourselves, said Richard Petty, co-author of the study and professor of psychology at Ohio State University." "The end result of this was that when students wrote positive thoughts about themselves, they rated themselves more highly when in the upright than the slouched posture because the upright posture led to confidence in the positive thoughts. However, when students wrote negative thoughts about themselves, they rated themselves more negatively in the upright than the slouched posture because the upright posture led to more confidence in their negative thoughts." Ohio State University. "Body Posture Affects Confidence In Your Own Thoughts, Study Finds." ScienceDaily 5 October 2009. Again we see the interconnection between mind and body. Just as feeling confident gives us better posture, better posture makes us more confident. 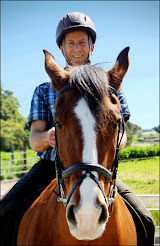 A wonderful comment I've heard occasionally from clients after their massage is "I feel taller!" What does that do to their confidence in themselves, and how does does it affect others' perception of them? It's all good, as the saying goes.